The situation seems hopeless. 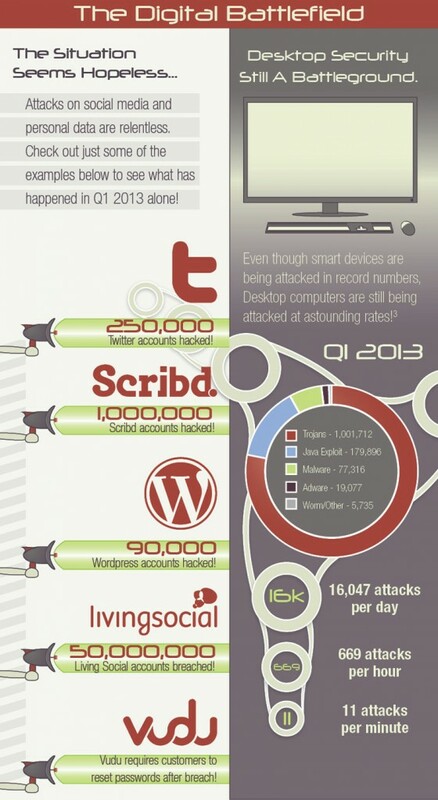 Attacks on social media and personal data are relentless with incidents reported from Twitter, Scribd, WordPress, Living Social and Vudu in the first quarter of 2013 alone. On top of that, mobile malware attacks are ruthless with AV-Test.org reporting 5 new malware discoveries per minute in the first half of this year. Even though smart devices are being attacked in record numbers, desktop security remains a battleground with SecureIT desktop detecting an average of 11 attacks per minute. Your social media account may not seem to you like it has anything valuable to hackers on it, but if you are still using the same password for all of your password protected accounts then you are a prime target. 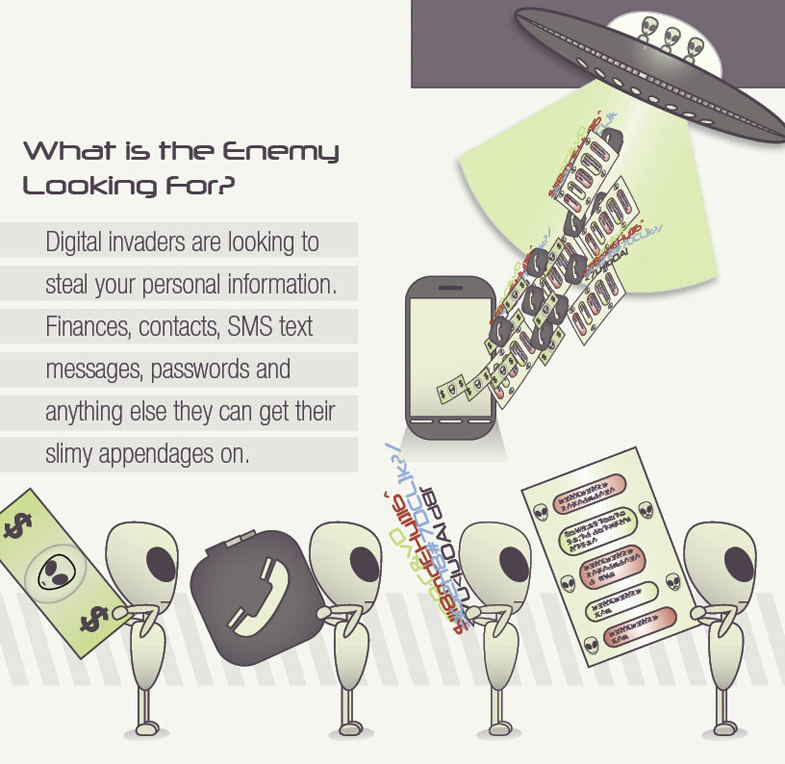 Digital invaders are looking to steal your personal information (family names, pet names, address, mobile phone number, etc. ), financial information, contacts, text messages, passwords and anything else they can get their slimy appendages on. With this information they can send you text messages that have malware imbedded in them, send spear-phishing emails that look like they come from people you know, and answer frequently used banking account password reset questions or access questions. Digital predators feed off of consumers’ comfort level with social media sharing and use that against them. Taking simple steps like not clicking on links in emails and being more careful with the personal information you share on social media can prevent hackers from obtaining valuable information from your accounts. With better knowledge, simple preparation, and a force field infrastructure that includes SecureIT, FileHopper and Password Genie, consumers can ward off digital attackers. View the entire infographic here.